We did a feng shui clear-out of the basement today. Well over 200 jars (we stopped counting!) of home made preserves decades old. In fact, we found labels that said 1951. This is the year my domestic partner was born. 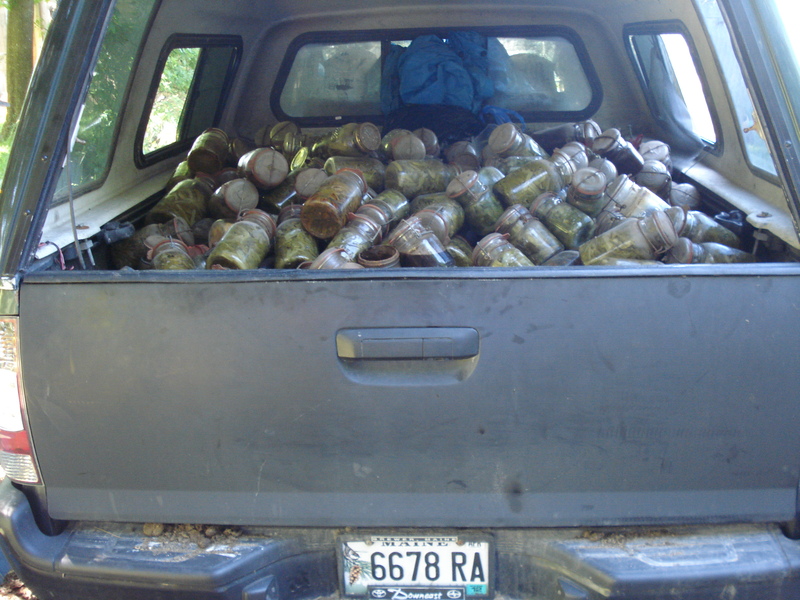 The canning jars of gunk came with the house he bought in Maine 6 years ago. Two years ago he was diagnosed with the big C in his intestines. Coincidence? Maybe. But this mass of moldy gunk–albeit in glass containers–tucked away in the bowels of the home does have a correlation in feng shui symbolism. I’m so glad my partner is A-ok clear and now, so is the basement of our home! 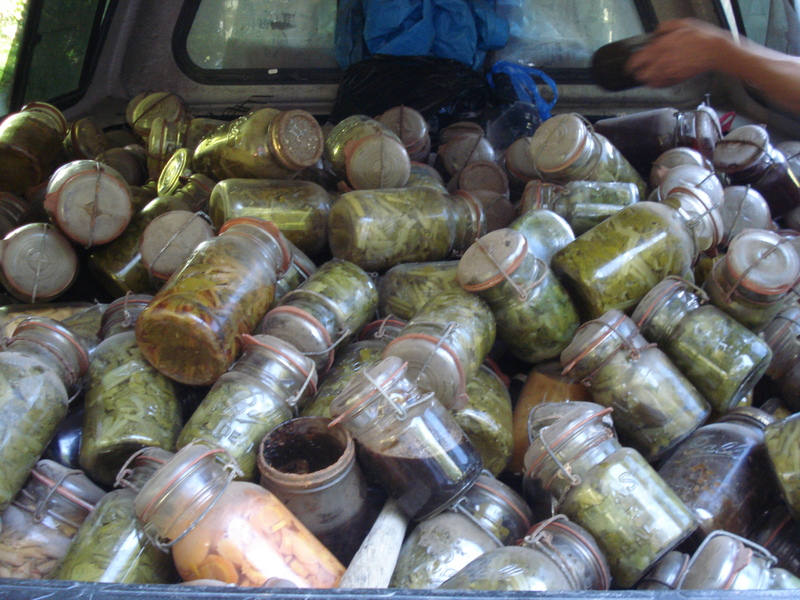 The jars were taken to the dump by our handyman after I inquired proper procedure with the landfill director. Take a close look at the 60 year old carrots in the jar below–they almost look edible, don’t they?! Tagged as 60 yr old preserves, Feng Shui By Fishgirl, feng shui cleanup, health and feng shui, jars of symbolism, mason jars, what do you have in your basement? I feel bad just looking!!!! Too bad you didn’t think about dumping them out and sell the jars. those suckers are collector’s items. running about $8 each at antique stores. Oh well. Actually we did think of that, Robin! But my time is worth more than the time to clean out “those suckers” and the fungi growing inside the jars was NOT going to escape into MY lungs or my environment. 🙂 So what we did was give the handyman the option of keeping them to do whatever he wanted to and keep whatever profits he made from the results. Thank you for commenting!